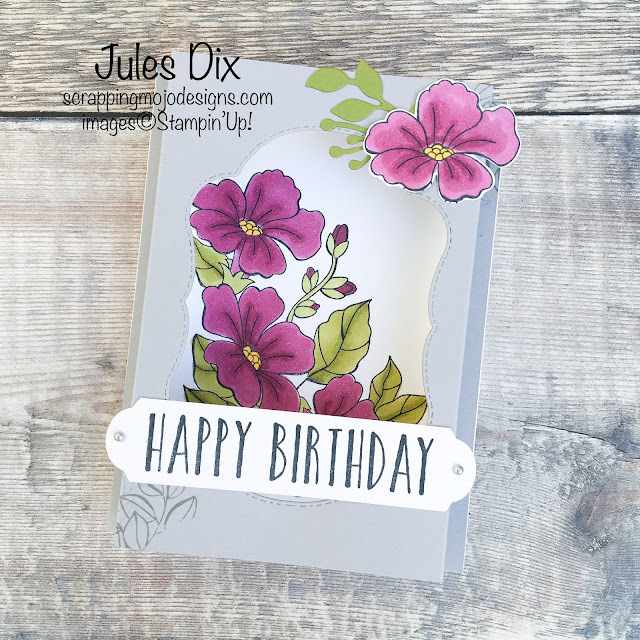 Scrapping Mojo Designs: Happy Birthday Box Card using Colour Your Season from Stampin' Up! 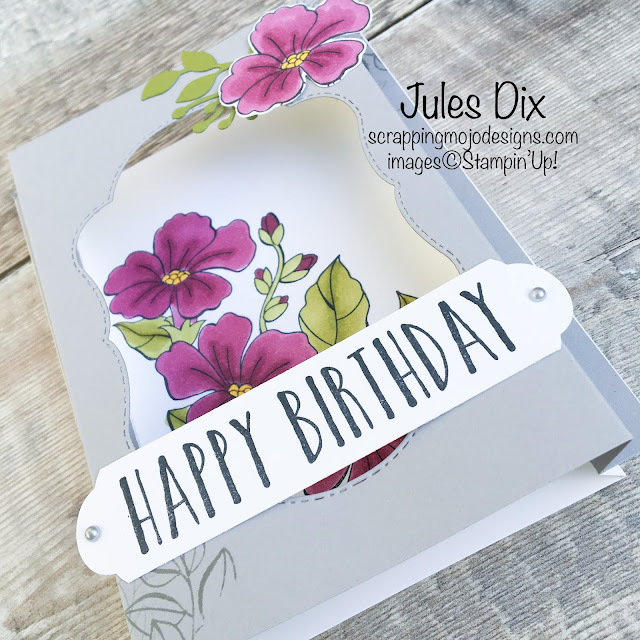 Happy Birthday Box Card using Colour Your Season from Stampin' Up! 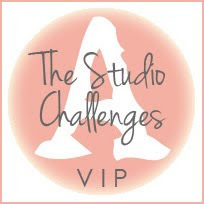 I had a fab time earlier this week at a team training session with my lovely Upline and three other SU Demonstrators. We drank coffee, chatted and crafted, what could be better?! 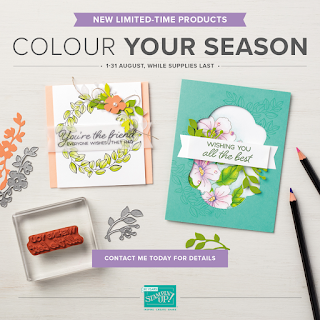 Julie, my upline, showed us how to make these gorgeous box cards using the brand new Colour Your Season stamps and dies. I'm pretty pleased with how mine turned out! If you love this set as much as I do, don't delay! 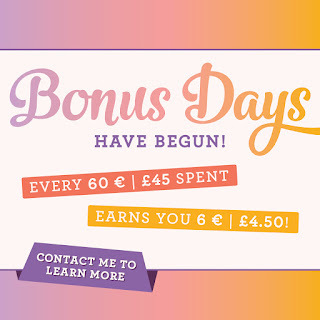 It's only available during August, and only while stocks last! 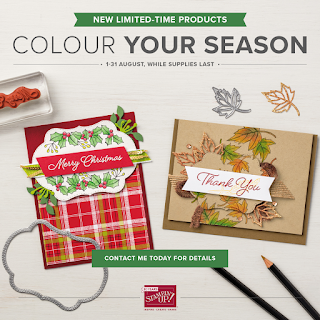 The good news is that the stamps and die bundle qualify for a Bonus Days coupon, which you can use during September on some of the gorgeous Christmas products in the Autumn/Winter catalogue.